The story is false, and Gates has been adamantly denying the quote for nearly three decades. But false as it is, it does serve to demonstrate just how far computer technology has come. In 1981, 640K was a lot of memory and file sizes were teensy compared to the modern behemoths we deal with daily. “The PEC Review” is my weekly column created to introduce you to the products or services that I believe will help you improve your ecommerce business. Often I focus on software solutions, but this week, I want you to consider one fine piece of computer hardware, the aforementioned HD-HX2.0TU3. External hard drives like the HD-HX2.0TU3 give you a lot more room to store data, can act as a backup data repository, or can be used on your network as a central storage location for often shared files. This particular Buffalo Technology model includes two terabytes of available storage, meaning that you could store 2 trillion bytes (16 trillion bits) of data. Or perhaps more tangibly, you could store approximately 10-percent of the entire contents of the U.S. Library of Congress on this one drive. Perhaps this is way too much information, but for reference, a simple memory cell stores one bit of data. Eight bits make up a byte, which can be thought of—roughly—as one character of text. The Buffalo Technology HD-HX2.0TU3 is also one of the first external hard drives to support the new “SuperSpeed” USB 3.0 interconnect standard. USB 3.0 is theoretically 10 times faster than the USB 2.0 standard you probably have on your current computers and associated devices, such as printers, web cameras, and monitors. Specifically, USB 3.0 has a throughput of about 5Gbps (gigabits per second) compared to 480Mbps (megabits per second) for the older standard. 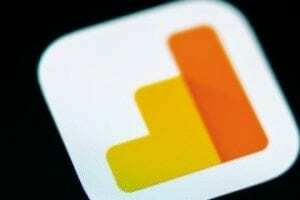 In the real world, you probably won’t get 10 times the performance over your current devices. But I am elated with about 8-times the file transfer speed. Another limiting factor will be the drives spinning platter and actuator arm. Like most hard drives this is a mechanical device, so there are mechanical limitations. One more thing, unless you have a really new computer, you will need to purchase a USB 3.0 interface card if you want to take full advantage of USB 3.0. The standard and the Buffalo Technology drive are backward compatible, so the HD-HX2.0TU3 will work on your USB 2.0-equipped computer without any issues. Of course doing so would be like using a race car to go grocery shopping. 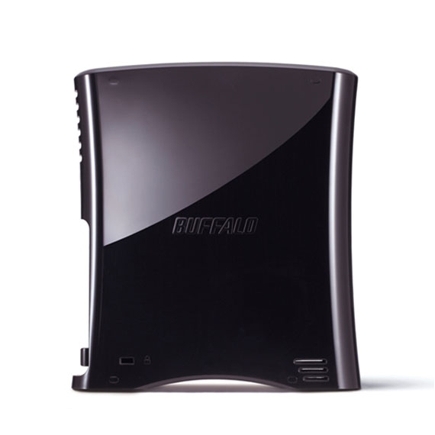 The Buffalo Technology HD-HX2.0TU3 easily connects to Windows 7, Vista, XP and Mac OS 10.4 or newer systems. So no matter if you’re a Mac or PC user this drive will work for you. This drive has a list price of $399, but Newegg—my store of choice—has it for $229.99 plus $2.99 shipping. With everything that I have said about speed and capacity, I don’t want you getting the wrong idea. This drive is actually a very slim 1.8 inches wide, about 7 inches tall, and a little more than 6 inches deep. Buffalo Technology’s HD-HX2.0TU3 external hard drive is a high performance, high-density storage solution, worthy of the four and a half stars I’ve awarded it in this review.